It doesn’t matter what sort of workplace you have or how big it is – the need to keep it clean and tidy remains the same. Here at Alphaclean you can find a wide range of sweepers. We are confident that you will find one that is right for you and your business. Our innovative design and flawless customer service has meant that our customers have loved their new sweeping machines. They have been proven over and over again to work in a wide range of environments and conditions across many, many industries. Do you have a smaller business? We have a range of smaller, push along sweeping machines which are extremely well suited to small and medium businesses. These include the S800, SM900 and the ST900 from the B series and the ST1000 from the G series. Each of these models is lightweight and easy to use. They are generally much more effective than traditional sweepers, and can be used with much greater efficiency. Do you own a larger business or a car park? If you own a larger business or a car park (or both) then you may find that a ride on floor sweeper is more suitable. The Alphaclean range of ride on sweepers includes the SRT1000 and the STR1100 from the G series and the STR1300 and STR1500 from the R series. These machines are very simple and comfortable to use and are well suited to things like large warehouses or multi-story car parks. If you would like more information on any of our models then all you need to do is head to Alphaclean. Here you will find an array of information, including the technical specifications of every model. You will also find detailed information about the unique TRS technology which is included in each and every Alphaclean model. We have this technology to thank for the incredible efficiency and unique design of our machines. It was designed and developed in Germany – a country known across the world for its ability to engineer new technology across a range of industries. If you are shopping for a new or second hand sweeping machine then head to Alphaclean today. Get in touch with us with any questions that you have – we are always happy to help! 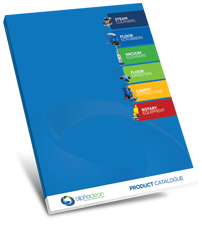 Alternatively, you can also visit Alphaclean for details about a wide range of sweepers.